No Walt Disney World attraction is more immersive and bursting with detail than the eerie, yet gag-filled Haunted Mansion inside Magic Kingdom’s Liberty Square. The view of Haunted Mansion from the entrance queue. 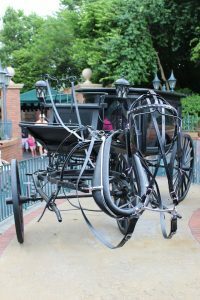 An opening day attraction, the Haunted Mansion has been a fan favorite since 1971 and is the only attraction that I wholeheartedly insist is a must-do for any ‘tween and up. Even the horse pulling the hearse is a ghost. 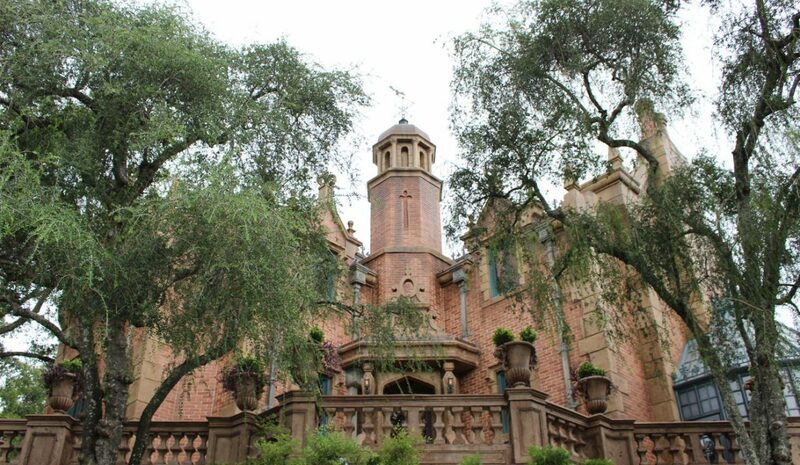 Upon approaching the Haunted Mansion, the feeling of both anticipation and fear begins. 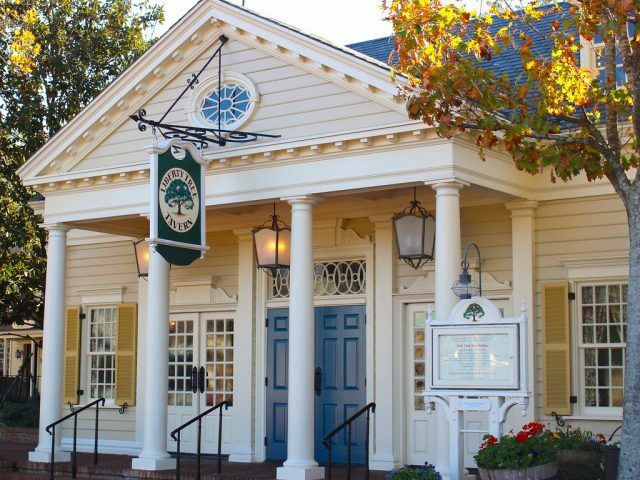 The exterior is built in a Dutch Gothic-style to blend in with the surroundings of Liberty Square. Upon closer look, however, the details such as the bats in the ironwork and the phantom horse out front, make any visitor aware that this is no happy-go-lucky place. The Mansion’s two wings are constructed in a claw-like formation as if they might grab and pull any passerby into an entrance adorned with a decaying mourning wreath. 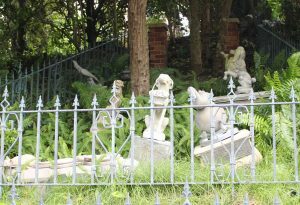 The Haunted Mansion is a culmination of numerous Disney hallmarks such as Audio-Animatronics, Omnimover technology, and character creation. What makes Haunted Mansion unique is that it is both scary and funny. Imagineers were brilliant with their insertion of various sight gags to provide the perfect amount of comic relief in between scares. Disney also didn’t shy away from tried and true special effects, such as an 1862 magician’s trick to “conjure” spirits called the Pepper’s Ghost Effect. 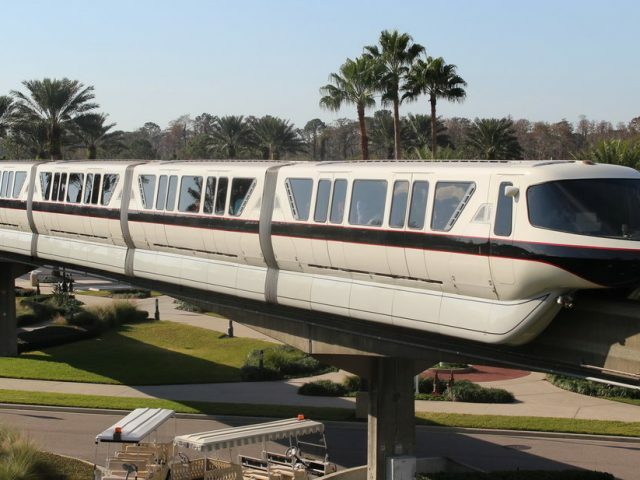 Disney Imagineers pulled out all the stops on this ride, and it can take dozens of visits to catch even half of the details on the 7-minute attraction. While this is a must-do attraction, it does have some scares that may be too much for your child. There is no minimum age for the ride, and I did take my infant sons on the ride with no incident. However, once they passed the one-year-old mark, my husband and I just knew they would be too scared, and each of us took turns on the ride solo. At six and eight, my sons ride but spend a lot of time covering their eyes. But I can’t blame them. Even in my 40s, the pop-up ghosts in the graveyard still scare me! The gravestones provide some comic relief before entering the mansion. Without spoiling too much for a first-time rider, here’s a little taste of what to expect on a trip through the Haunted Mansion. It all starts with the queue as you wait to enter. From the moment you step onto the grounds, you hear and feel the Mansion’s chill. Step inside and you immediately get the feeling that you are being watched. Next, you will quickly shuffle through the portrait corridor and hop on a Doom Buggie. From there you will be floated in and out through the various rooms of the Mansion: the library, the music room, the conservatory, the grand hall, and the attic. At the beginning of the ride, you will see the shadows and hear the noises to let you know that ghosts are present. 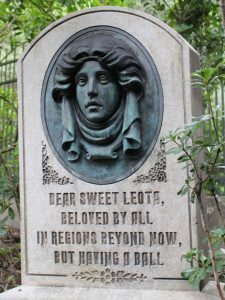 Once you witness Madame Leota calling the spirits to show themselves during the séance circle, you will begin to see the ghosts appear: some jolly, some elegant and some menacing and dark. Throughout the ride, you will be listening to the tune Grim Grinning Ghosts, written especially for this ride. In the music room, this song is played in a doom-and-gloom Rachmaninov style. 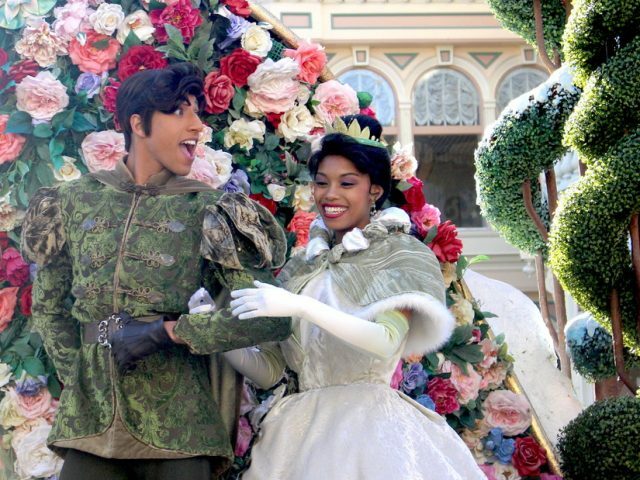 In the Grand Ball Room, the tune is set to a waltz and at the grand finale, it is jovial and jazzy. Don’t forget to stop at the pet cemetery on your way out. When you exit the mansion, do take a moment to see the pet cemetery and visit Memento Mori, which is right outside the gates to the left. Memento Mori is one of the best-themed gifts shops in all of Walt Disney World. 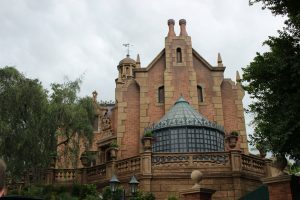 If you’d like to learn more about the Haunted Mansion, I suggest reading The Haunted Mansion: From the Magic Kingdom to the Movies by Jason Surrell or visiting the website doombuggies.com. 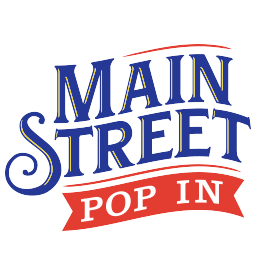 Be a subscriber to the MSPI blog. It’s FREE!